Sisters Elementary School | We're glad you're here. Welcome to Sisters Elementary School. We are glad you’re here! We put students first and lead with our hearts. We will never forget why we chose education; to be part of a cause bigger than self and to have a positive impact on our future. Surrounded by supportive volunteers and leaders. Our door is always open for students and families. We communicate regularly. We extend beyond test scores. As a school, we must meet state requirements and comply with legislative mandates. Our vision at SES extends beyond students’ test scores. Our goal is learning and growth for ALL students. We will meet the needs of ALL students. School teams meet regularly to identify instructional priorities that use flexible groupings to facilitate effective instruction for all learners. We will embrace every student. We believe in Positive Behavior Intervention Support (PBIS). Students will be recognized for the following 3 B’s: Be Safe, Be Respectful, and Be Responsible. We will engage our community. Parents and community relationships are vital to our work. We will share our practices. As a District and school, we share supports and practices with our families for successful implementation of learning for all students. Nestled at the base of the Three Sisters mountains, in the rural community of Sisters, is a unique and incredible school. Students and families are encouraged to be a part of the school community. Where all voices are valued and heard, small class sizes allow for individual attention and support systems are in place to provide equal opportunities for all students. That place is Sisters Elementary School. Students receive traditional instruction coupled with special programming in Art, Music, PE, and Emotional Learning. New to the school is a Music & Movement program. Community partnerships allow for things like Artist in Residence programs, author visits, a garden club, and drama workshops. We can see your family fit in at Sisters Elementary School. 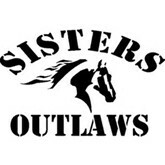 Every day is a great day to be an Outlaw. 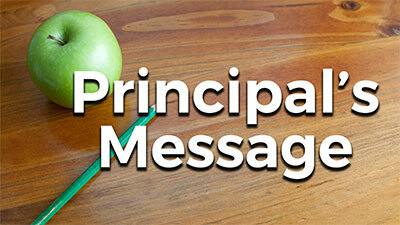 To learn more about what is going on in Sisters Elementary School, read the latest Principal’s Message. Para obtener más información sobre lo que está sucediendo en la Escuela Primaria de Sisters, lea el último Mensaje de la Directora.
. . . committed to attending school and Being the Three.